After a warm and friendly welcome the local vineyards, beaches and restaurants are waiting to be discovered. 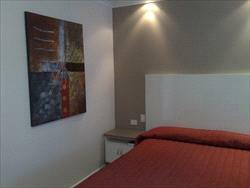 McLaren Vale Motel is a family owned and operated motel situated in the heartland of the McLaren Vale Wine Region. That you choose to stroll through the vineyards or relax and unwind. 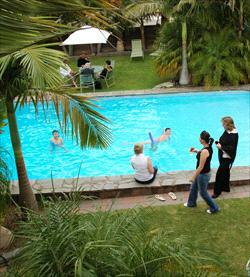 The motel has 25 modern spacious refurbished ground floor units & 12 New studio Apartments set in a garden setting. 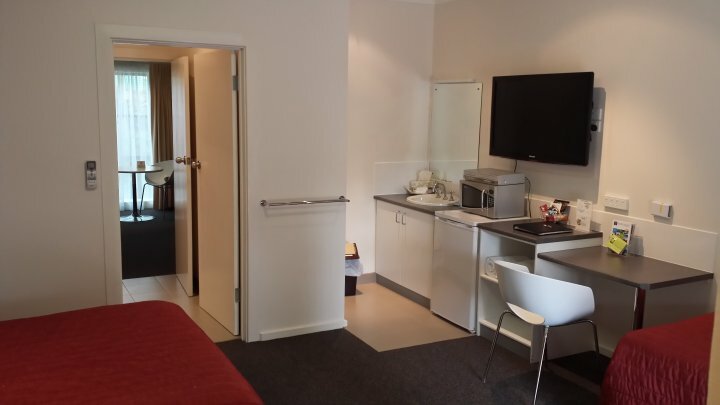 The 2 bedroom units have 2 queen size beds and 2 single beds in two separated rooms, each room with vanity basin, remote 106cm LCD colour TV, r/c air conditioners, fridge, Tea, coffee and Milo provisions, kettle, toaster, table and chairs (microwave, VHS video, Telephone in front room). The rooms are separated by a passage with doors at both ends and a shared separate toilet and shower coming of the passage. The 2 bedroom units have 2 queen size beds and 2 single beds in two separated rooms, each room with vanity basin, remote 106cm LCD colour TV, r/c air conditioners, fridge, Tea, coffee and Milo provisions, kettle, toaster, table and chairs (microwave, VHS video, Telephone in front room). The rooms are separated by a passage with doors at both ends and a shared separate toilet and shower coming of the passage. With access only through the front room. 2 night min. The Refurbished Executive King Deluxe sleeps two in a king size bed. 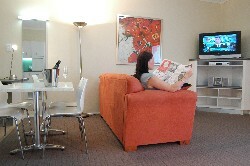 With 2 person spa & twin shower heads, New 106cm LCD TV, VHS/DVD and internet data port. Non-smoking. Executive Unit - 1 night King Bed, Corner Spa, Twin side by side showers, Barrel Heater, reclining leather chairs. 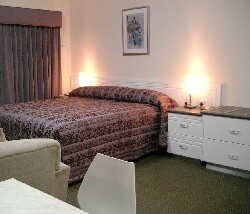 The Refurbished family rooms are larger than the Queen rooms and have a queen size bed and 2 single beds. These rooms also have larger separate toilet, shower and vanity areas which look out to the fernery with running creeks and waterfalls. Under cover shade parking for your car in front of your room. These rooms also have all the standard features and is ideal for 4 adults on a budget or Mum, Dad & 2 children that need a bit more room. King Two bedroom Deluxe Apartment - 1 night 2 king beds, seperate lounge, kitchen, laundry, 3 LCD TV, Large Oval Spa with mood lighting. 2 nigh min. King Two bedroom Deluxe Apartment -2 king beds, seperate lounge, kitchen, laundry, 3 LCD TV, Large Oval Spa with mood lighting. 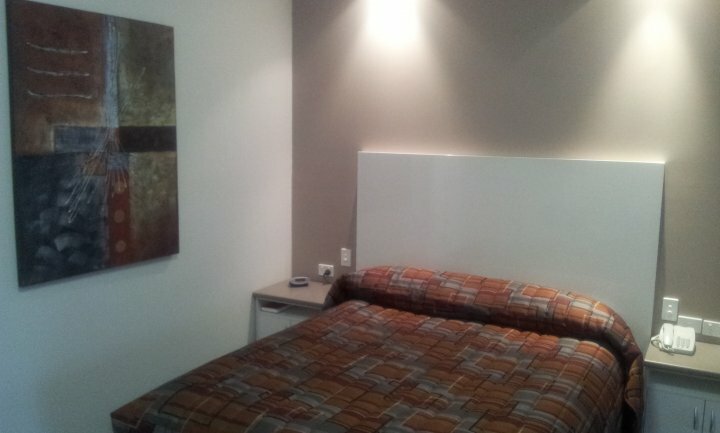 The refurbished Queen rooms are bigger than your average motel unit all with Queen size bed and single bed, 2 lounge chairs and table and chairs they have separate toilet, shower and vanity areas. All rooms have reverse cycle air conditioners, which keep these rooms cool in summer and warm in winter, Remote control 106cm LCD colour Television and video/dvd players, hair-dryers, Telephone with Data port for internet connection, tea, coffee and Milo provisions are supplied in every room along with kettle, toaster and microwave oven for the nights you just want to warm something up or cook a light meal. If you need to catch up with some washing while staying with us you will find a free guest laundry on premises with iron and ironing board in your room. 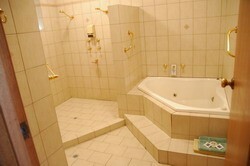 2 Night Package King bed corner spa & twin showers. $60.00 voucher for over 20 locations,Continental breakfast daily,Blessed Cheese and wine trail Inc bottle of wine. Package is for Two Guests only. 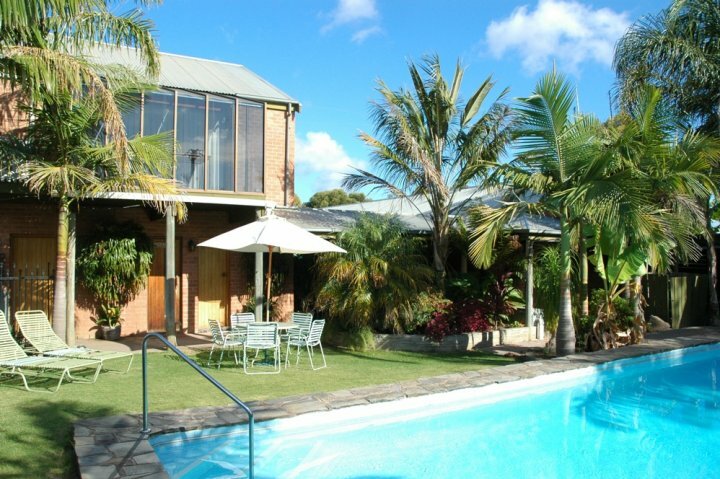 70 cellar doors, Beaches, 8 Restaurants & cafe's within 800 meters, 3 + Breweries, Art, Cycling, Fleurieu penisular touring, Kangaroo Island ferry 1hour drive.